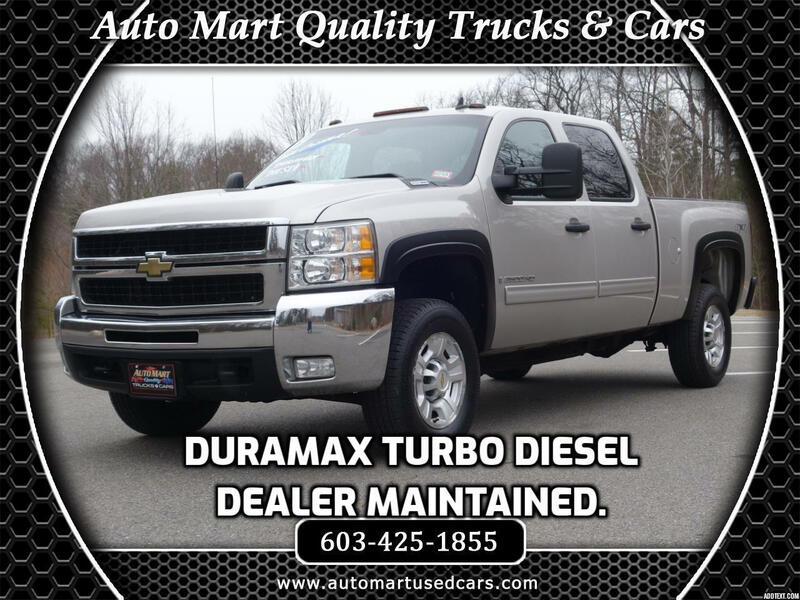 You will be just the second owner of this very clean and well maintained Silverado 2500 HD crew cab 4x4. It features the 6.6 liter Durmamx turbo diesel engine and Allison six speed automatic transmission. Finished in brilliant silver birch metallic, its paint, exterior body panels, chrome and trim are excellent. With seating for up to six, its black interior is clean, neat and comfortable. Maintained with an open check book, it has complete dealer maintenance and service history. Complete with four new tires and complete front brake service.